While many bands may aspire to be timeless, or have a sound that transcends the whims of musical fashion, The Cranberries are one of the few to have achieved that. Play one of the Irish rock group’s early anthems such as “Linger” or “Dreams,” and they sound as fresh – and deliver as much of an emotional sucker-punch – as when they captured a generation’s hearts in the 1990s. 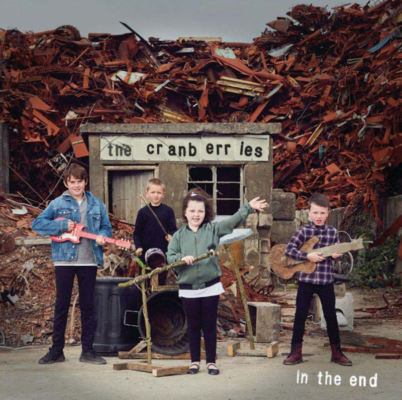 Now, nearly 30 years after the quartet of singer/songwriter Dolores O’Riordan, co-songwriter and lead guitarist Noel Hogan, bassist Mike Hogan and drummer Fergal Lawler first appeared, they are returning with their eighth album In the End. After the sad and unexpected passing of O’Riordan on January 15, 2018, it will be their last – and is among the most complete works they have ever produced. As with all the songs on the album, the new single “Wake Me When It’s Over” had been recorded as a demo by Dolores before her passing. Working with Stephen Street – who had produced four of their previous albums including Everybody Else Is Doing It, So Why Can’t We? and No Need To Argue – the band built the sounds around Dolores’ vocals to create a classic Cranberries song. “It’s hard to explain what turns a Dolores tune into a Cranberries tune. It’s just the magic when we play together and understand each other so well. It’s always been the same” adds Fergal. The genesis of In The End began in May 2017 while the band were on tour. By winter of 2017 Noel and O’Riordan had written and demoed the eleven songs which would eventually appear on the album. In the End sees the band coming full circle, with a collection that evokes their very first LP. “When we listened to the demos, the three of us and Stephen were thinking ‘this sounds much closer to the first album than anything else’. Dolores was singing very softly on some songs, which was closer to how she would have sung back then, and the simplicity of some of the songs as well brought us back to that time,” says Noel. As the huge wave of public adulation in the wake of O’Riordan’s’ passing showed, The Cranberries may be over, in one sense – but they will forever live on in the musical pantheon.